Remember, our dentists will happily work with you to figure out the best solution for enhancing the beauty and function of your smile. Call 303-790-2323 to schedule your Lone Tree consultation today. 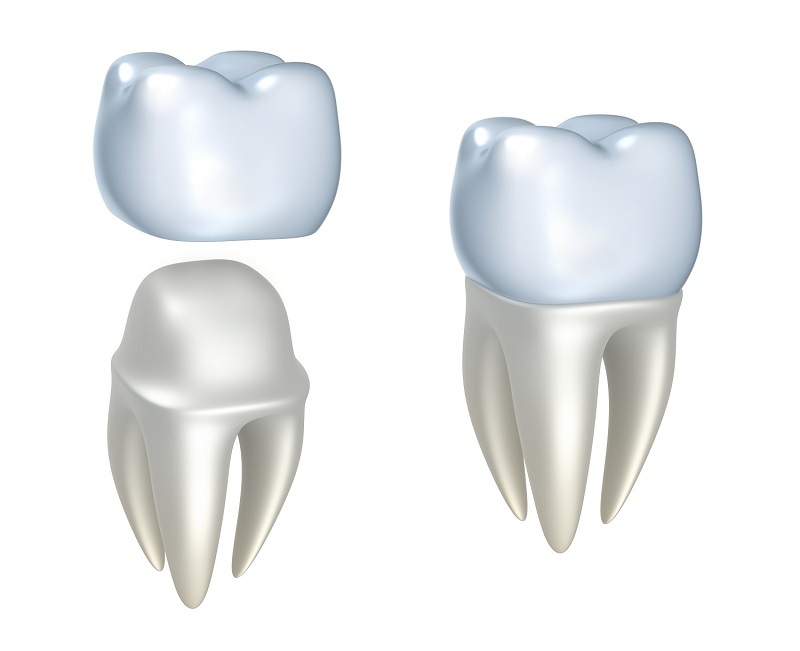 A dental crown is a tooth-shaped cover that is placed over your natural tooth. Crowns are typically used to conceal and protect a damaged tooth. 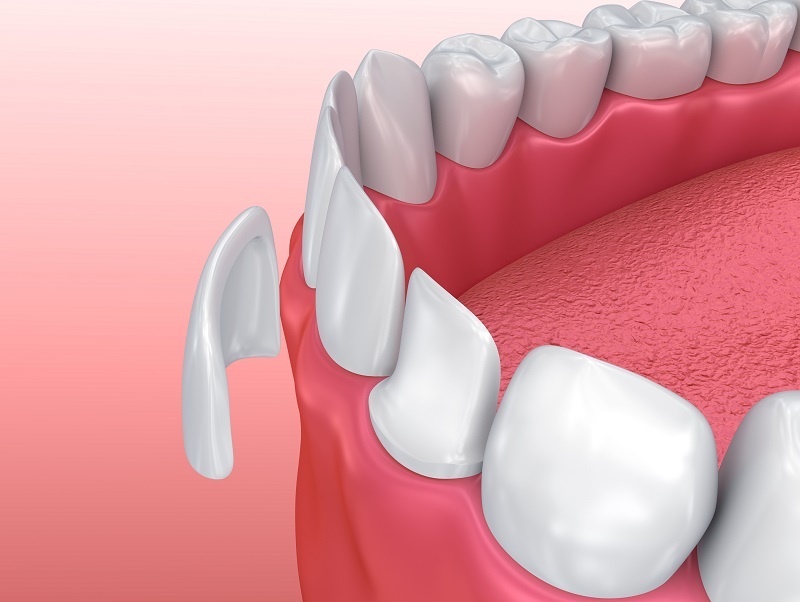 When cemented in place, a crown covers every visible side of the tooth below. This restoration is completely customized, ensuring that it looks just like your natural tooth — only stronger! To accommodate a crown, our dentists will need to reduce the size of your natural tooth. That way, the restoration can fit snugly over the top without appearing out of place. Dental crowns are considered a general dentistry treatment, but they have cosmetic benefits as well. These restorations can improve the shape, size, strength, and appearance of your teeth. Crowns are incredibly durable. They can tolerate the forces of chewing, clenching, and biting. Once in place, a crown will protect your tooth from further damage or decay. Like crowns, veneers are customized porcelain restorations that are bonded to your natural teeth. Unlike crowns, veneers only cover the front surface of a tooth. Their primary purpose is to improve the appearance of your smile by masking underlying cosmetic issues. Veneers are incredibly thin, so minimal tooth preparation is required. The preparation allows these wafer-thin restorations to sit snugly in place, so you won’t even notice they’re there. Since they mimic the translucent quality of tooth enamel, you can look forward to beautiful, natural-looking results. You may choose to get veneers if you are looking for one treatment that can correct multiple aesthetic problems. Veneers offer a beautiful, long-lasting improvement. They can change the size, shape, length, and color of your teeth. Your teeth and gums need to be in good overall health before veneers can be placed. While veneers are incredibly strong, they may not be the best option for someone who grinds their teeth or habitually clenches their jaw. It’s crucial to maintain good oral hygiene practices with veneers, as this restoration does not protect the underlying tooth from decay. Dental veneers and crowns are both excellent solutions for achieving a healthy, stunning smile. Veneers may be ideal if you want to address multiple cosmetic issues. On the other hand, you may benefit from crowns if your concerns are both functional and aesthetic. Call 303-790-2323 to schedule an in-office consultation to learn what option is best for your unique situation. Meadows Dental Group serves patients from Lone Tree, Highlands Ranch, Centennial, and other nearby areas.